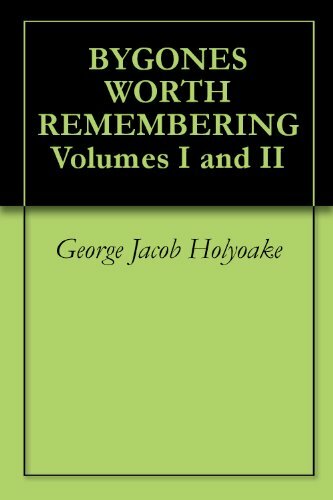 ﻿ Download "The History of the Last Trial by Jury for Atheism in England a Fragment of Autobiography Submitted for the Perusal of Her Majesty's Attorney-General and the British Clergy" by George Jacob Holyoake for FREE! The events, more than half of which are newly narrated in this ‘History,­’ are recited from recollection. It is not pretended that all the conversations took place with the brevity with which they are given here. In the lapse of eight years there is much which I must have forgotten; but what I have told I distinctly remember, and the actors living will not, I think, contradict it. As, by a creditable improvement in English law, the recommencement of prosecutions for (ir)religious opinion can originate with the Attorney-­General alone, I have ventured to hope that, if this narrative should fall into the hands of that officer for the time being, it may present some reasons to him why this ‘Last Trial by Jury for Atheism’ should be the last.